Great news for Sailor Moon fans in North Carolina! They will have a chance to meet the Japanese voices of Sailor Moon, Luna and Nephrite at the upcoming Animazement convention in Raleigh May 24th to the 26th! This includes Kotono Mitsuishi, the original voice of Sailor Moon as well as her voice in Sailor Moon Crystal! She has also done a number of other roles in other popular anime series such as Misato in Evangelion. 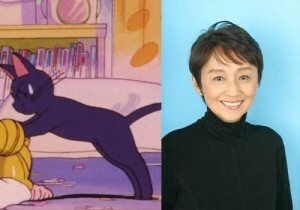 Returning to Animazement is Keiko Han, the voice of Luna from the original Sailor Moon anime as well as the plush and CG Luna from the fantastic live action Pretty Guardian Sailor Moon series. 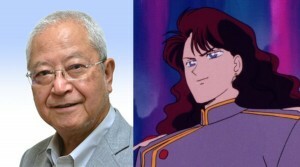 Finally there is also Katsuji Mori, who voiced Nephrite in the original Sailor Moon anime. When not drinking chocolate parfaits Katsuji Mori is an anime voice acting veteran and the main star of many classic series having played Ken the Eagle in Gatchaman (Battle of the Planets), Tekkaman in the original Tekkaman series and Go Mifune (Speed Racer) in Mach GoGoGo. A specific schedule doesn’t seem to be available quite yet but it stands to reason that they would be available for autographs and potentially some panels. Be sure to check out the full schedule when the event approaches. Are any of you in the area and planning to attend this convention? Let us know in the comments! Next weekend Sailor Moon fans in Columbia, North Carolina will have a chance to meet Jennifer Cihi. She will be a guest at Banzaicon which will take place from November 11th to the 13th at the Columbia Metropolitan Convention Center. Jennifer Cihi performed a number of songs from the original English dub of the Sailor Moon anime. 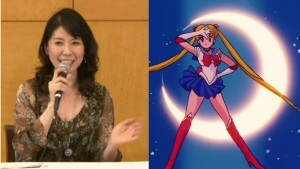 On the three English Sailor Moon soundtracks her name is credited as Sailor Moon, Princess Serena and Sailor Mars. She has provided the vocals for “I Wanna Be A Star!”, “My Only Love”, “Carry On”, “It’s A New Day”, “Call My Name”, “The Power of Love”, “I Want Someone to Love”, “I Want to Hold Your Hand” and “Who Do You Think You Are?”. Do any of you plan on attending this convention?